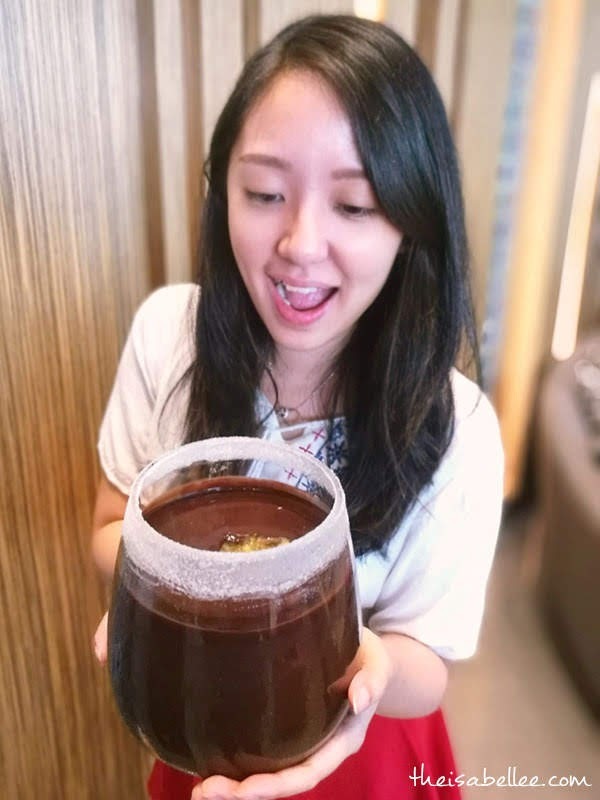 Isabel Lee | Malaysian Beauty & Lifestyle Blogger: [Food] Top Moodmojee Drinks to Try and Where to Get Them! 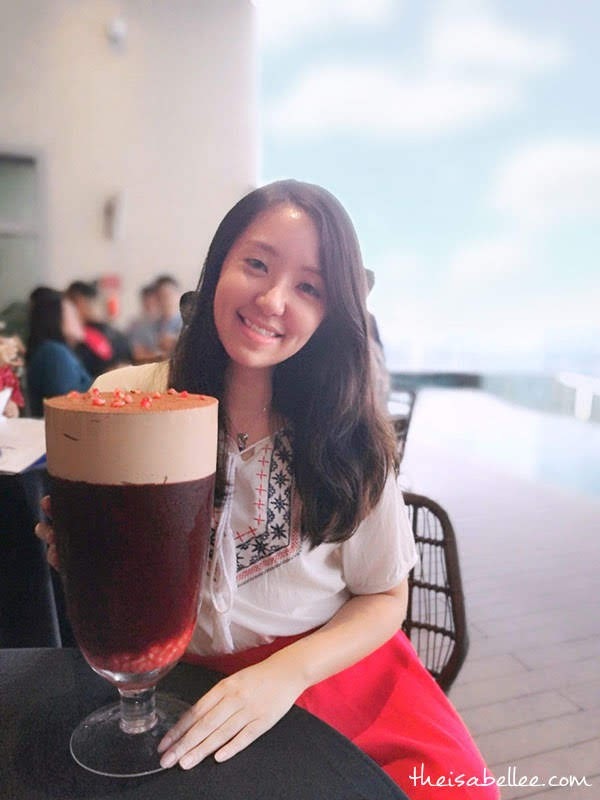 [Food] Top Moodmojee Drinks to Try and Where to Get Them! 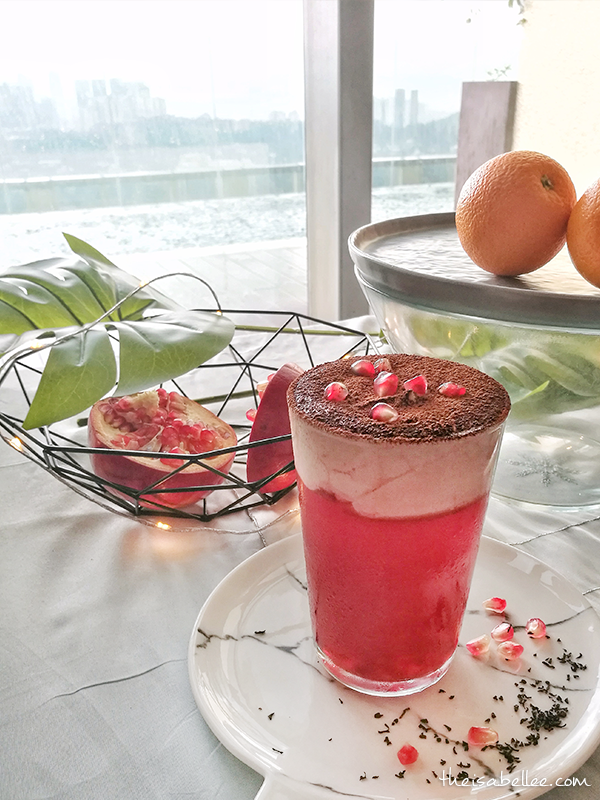 Anchor Food Professionals has recently launched a range of Moodmojee beverages that are not only yum yum but are pretty enough for the Gram too! Let's start with my ultimate favourite - Tangy Brew!! 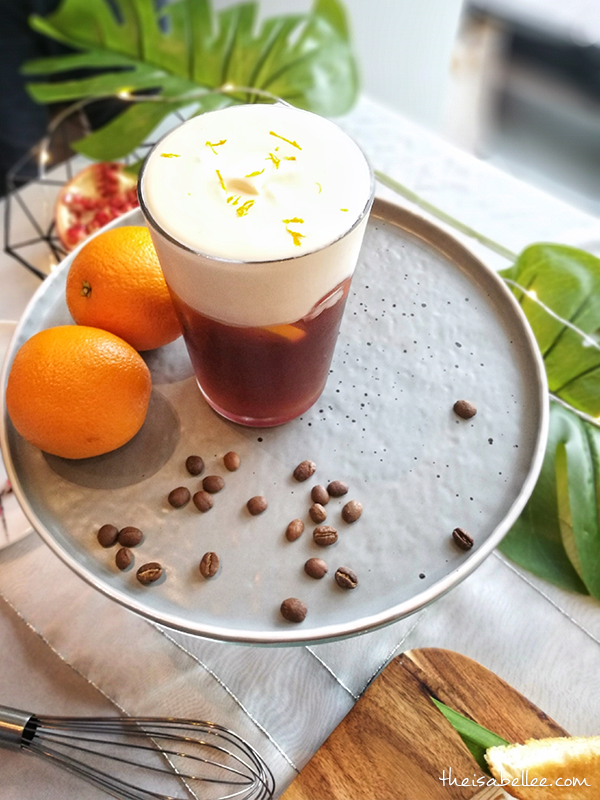 Rich cold brew coffee mixed with the tangy freshness of orange which explodes in your mouth followed by its satisfying mixture of cream and cheese foam. Super super gooooddd!! It was the perfect balance. 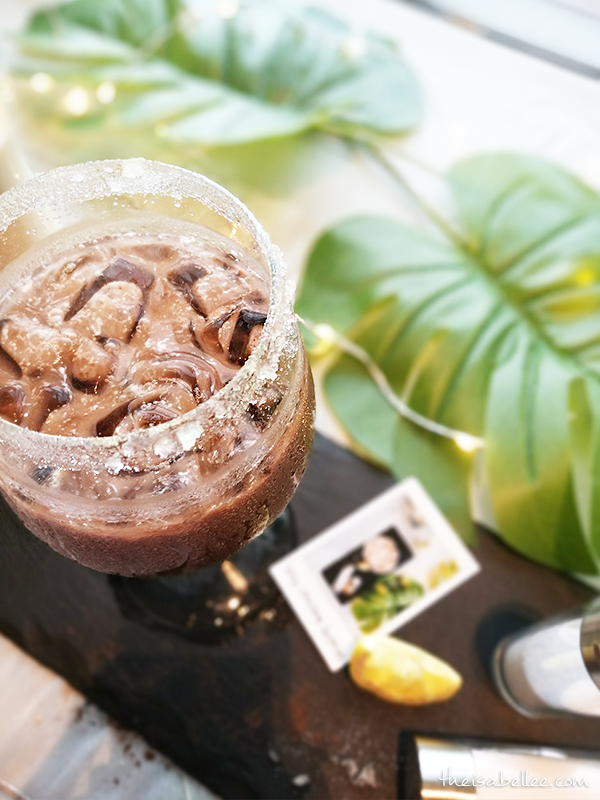 For all the chocolate lovers, a drink to tingle the taste buds with the unlikely pairing of Yuzu and chocolate. The tangy Yuzu puree tempers the rich chocolate in the cooling Yuzu Chocolate Surprise. The Yuzu taste wasn't very strong but I enjoyed the crushed salt lemon cooling candy on the rim! The Pom & Grey Twist is one of the prettier beverages with its pretty pink hue. 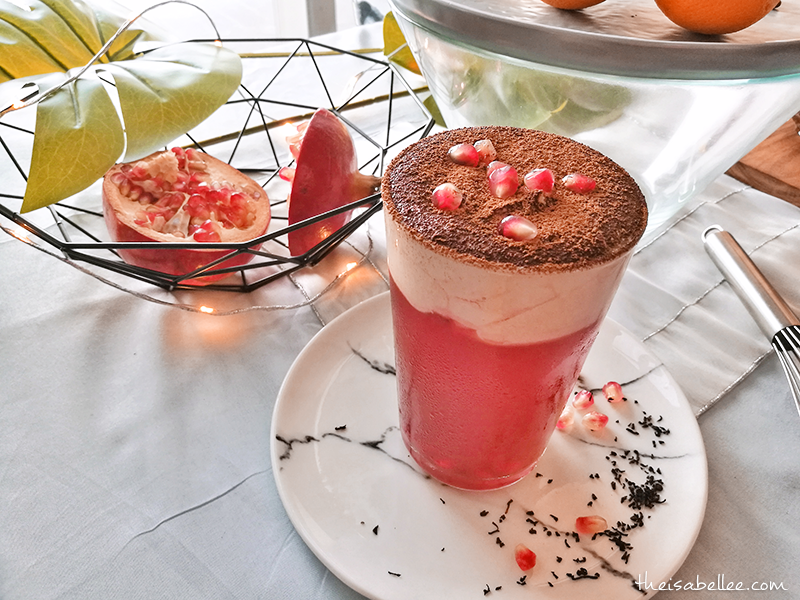 The flavoured cheese tea is a refreshing concoction of mood-boosting Early Grey tea mixed with pomegranate syrup, topped with a generous layer of chocolate cream. 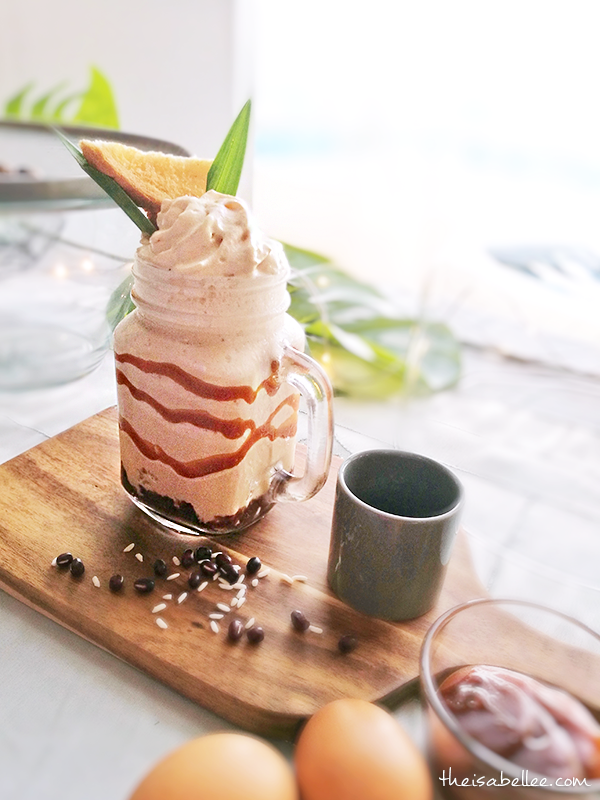 This one right here is a Malaysian favourite that’s both whimsy and decadent – Kayanika Fusion – layers of sweet and creamy with traditional kaya, gula melaka, pulut and red beans.. all topped with a crunchy toast! The presentation makes it Insta-worthy as well. Another one for the coffee lovers! The White Chocoffee stands tall and proud like a shake with a crown of whipped cream. 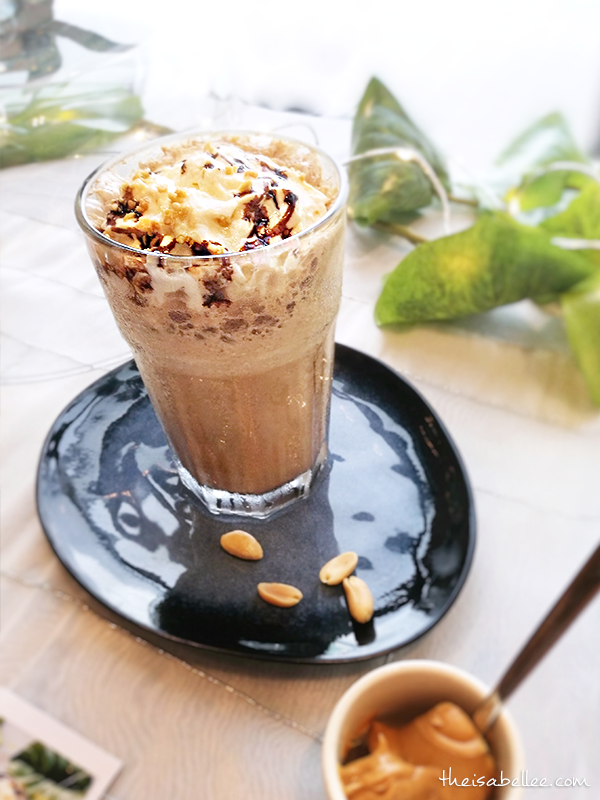 This sure-winner is a dreamy blend of white coffee mixed generously with delicious chocolate and peanut butter - creating a drink that can be quite filling. 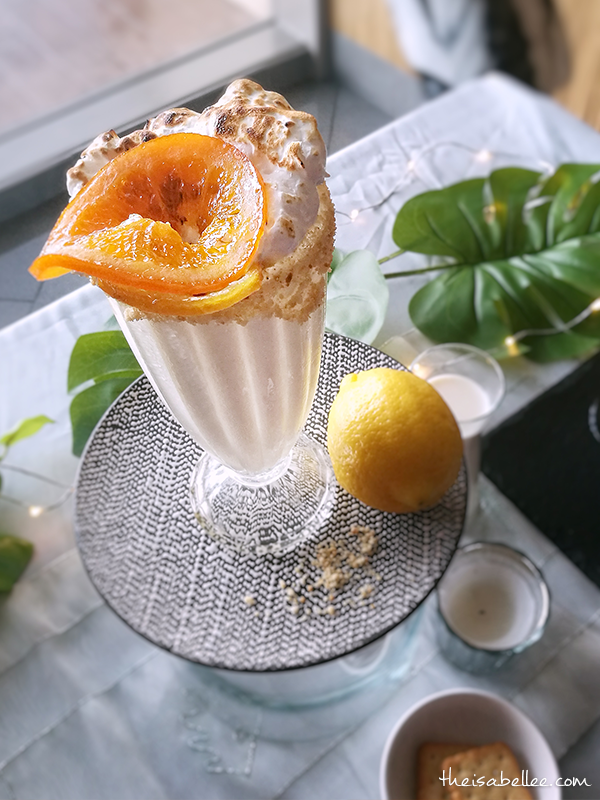 If you're into sweet drinks with a zing, try the Lemon Mint Meringue - a rich lemon mint vanilla ice blended, topped with fresh meringue and slices of candied lemon and orange, it's a feast to both the eyes and mouth. 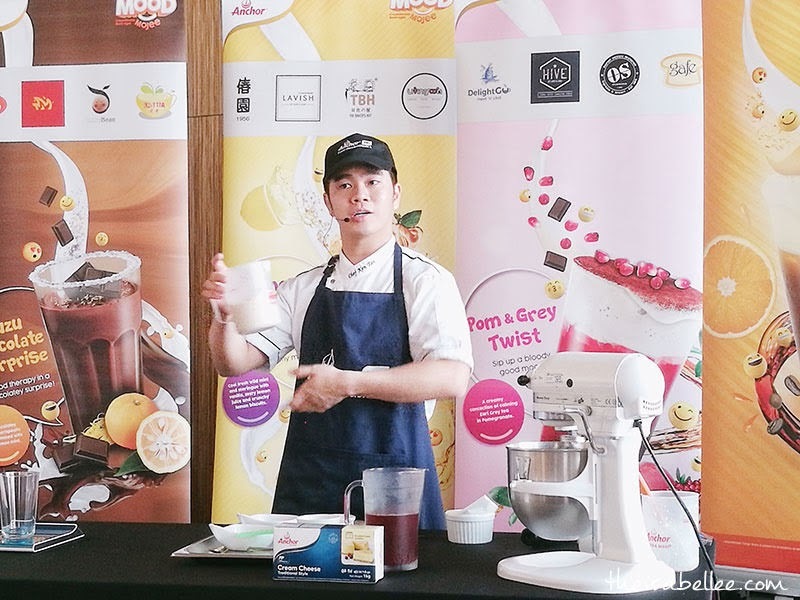 These beverages were conceptualised and created by Anchor Food Professionals chefs to showcase the delicious possibilities of dairy in beverages, bringing a sip of global trends to Malaysian consumers. 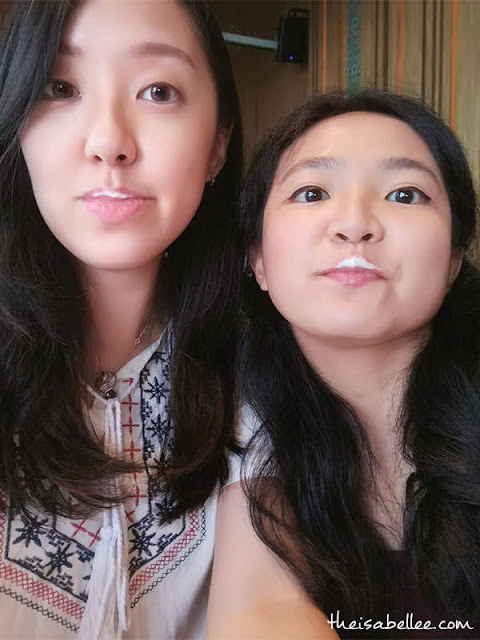 So rich and creamy.. Show me your milk moustache! Tee-hee! These super-sized ones were just for the launch but wouldn't mind a large glass of the Tangy Brew! Where to Get the Moodmojee Beverages?